1) Spent a lot of time up front to size the VFD properly for the application. 2) Spent time up front to research the VFD product specified to be used for the application - in some cases I have had to recommend to the end user an alternative VFD model as a better fit for the application. 3) Designed the power circuits with the VFD, the power supply, the cable run and the location of the motor in mind. 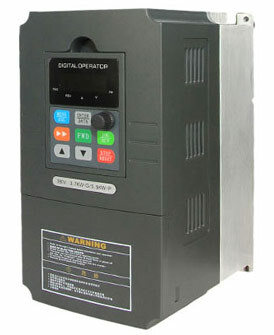 Use input reactors and harmonic filters or chokes on the output as specified by the VFD manufacturer. Use VFD rated cables when necessary, and checked that the motor load was rated as inverter duty. 4) Designed the VFD panel so that there was adequate ventilation/cooling for the VFD. Provided proper grounding points for the VFD, power supply, and connection points for the shields if shielded VFD cables used. 5) Inspected the panel construction carefully, to ensure that the VFD and associated equipment were properly installed in the panel and that no metal shavings or chips entered this equipment. 6) Repeat 5 when the equipment is installed at site, and check installation to ensure that it meets the recommendations of the manufacturer. Following this tips has pretty much ensures that the potential troubles that VFD's experience down the road are avoided or are reduced. Add to do proper preventative maintenance, the VFD should be trouble free.